You want to start your online business and you know by now what your passion and strong points are, this is what you love to do and you would love to work on this niche as a business. Is my niche profitable or not? 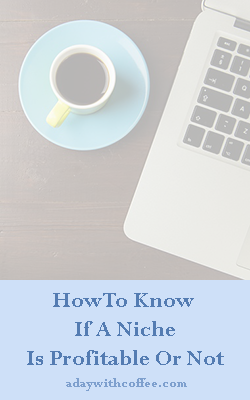 As not all the business work the same, before you start working to build up your website, I will share with you these points to help you to know if you have more chances to work on a niche that will make money for you in the short and long time. There are already people working on this niche. Nobody will invent the black thread, you know that, but the market is wide and you can find your own place in it. Don’t feel discouraged when you search on Google and you find there’s already lots of people working on that niche. The sun comes out for everybody. If your business idea is “totally new” or you don’t find anyone who is working on it, the reason might be simple, that niche is not profitable, and that’s why nobody is working on it, so you better change your mind and don’t try to “open” that market for you, it might work and it might not. If this is your first online business you will be working on, it’s better you work on a niche that is already tested and it’s making money for a few people. Is there money spent already on this niche online? Not all niches will work the same as an online model, take your time to search on the internet and check if there’s already some online entrepreneurs making money on this niche. You can also go to Facebook groups on this niche, and read about people comments, are they asking about how can they make money on this particular niche?, do they struggle to find an idea to make money on it?, this won’t be a good sign. On the other hand, if you visit these Facebook groups or forums, and you see some online entrepreneur are making money on this niche, and you can read comments from “happy clients”, this is a good sign that people are buying on this niche, and you can start your online business on this niche. A good niche needs passion and problems to make money. 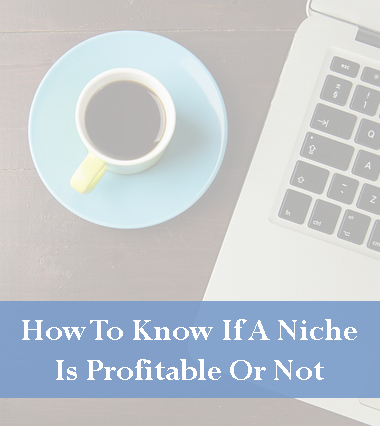 If you know already there’s some people who are interested on your niche, and they are passionate about it, you already know you might find some clients who will be interested on your business. This is why hobby business niches are good to work on them. Let’s talk about knitting industry, if someone loves to knit, this person will be knitting a sweater per year at least, let’s be franc, a good knitter won’t knit only a sweater per year, they will be knitting at least two or three sweaters per year, and they will be knitting for everyone in the family. The weather here is not a problem, who loves to knit, knits all year round, and it doesn’t matter where they live, in warm weather countries, people knit all the time. If your niche is about wool and yarn, you will be busy most of the time. If you find a problem in your niche, there will be more probabilities to make money on it. Do you have any idea about how many people are interested on getting online a knitting pattern?, how about a book with a few knitting patterns. Do you know about some new knitting technique? you can sell your online course. This is an example about knitting, but you can work the same way with almost any niche about hobbies. Can you promote any affiliate product on your niche? You will need to visit Amazon to check how many products could you promote on your website and create a passive income on your niche. Sometimes, it happens you think about one product to work on your online business, as you do some research about it, you might find there will be the product base you want to work with, but there might be some other products that you could promote as well as part of your niche. Once you sign up as an affiliate partner, when people visit your website to read your content, they will get interested on getting the product you promote on it, when they make a buy you will get a percent of it. The more products you can work on your niche, with time and good content on your niche, them magic will happen and you will be making money from your website. The niche is right for your business online. 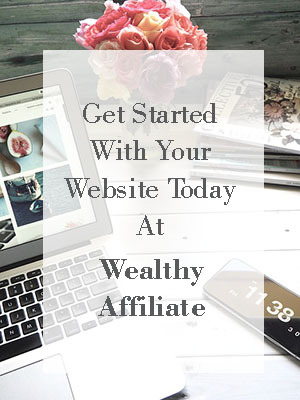 You have been working on finding the right niche for your online business, and now you know there’s more chances that you will reach success with your online business, it’s time for you to get your website! If you have any question about how to find the niche for your online business, leave a comment; I will reply to you.